Looking to chow down on some Mexican fare? A new spot has you covered. Called Tacos El Grullense C&D, the newcomer is located in the food court of Hillsdale Shopping Center at 60 31st Ave. in Northeast Hillsdale. It's the latest outpost of the 30-year-old local taqueria chain named for the town in Jalisco from which hails the founder. The straightforward menu offers tacos, tortas (sandwiches) and burritos. Meat options for any dish include grilled beef, shredded pork, grilled chicken and beef tongue. To drink, try the rice-vanilla-and-cinnamon flavored horchata, or one of the fresh fruit aguas frescas. With a 3.5-star rating out of six reviews on Yelp so far, the fresh arrival has gotten a good response. 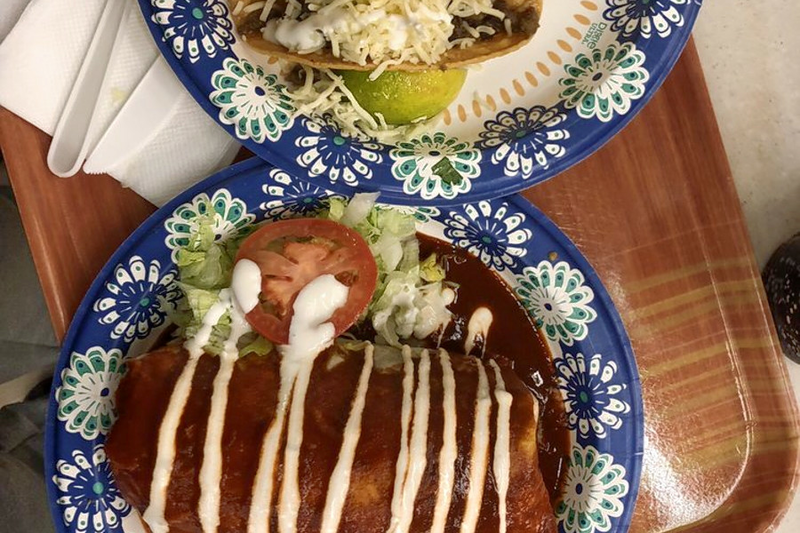 Joe S., who was among the first Yelpers to review the new spot on November 26, wrote, "No other taqueria in San Mateo has anything on this mall food court phenomenon. Tacos El Grullense is pretty legit and a step above your local taco truck." And Janelle Q. wrote, "It's a casual spot offering a typical variety to tacos, burritos, agua frescas, etc for reasonable prices considering the giant portion sizes. Meaty fries topped with lengua were indeed quite meaty, as they definitely didn't skimp on the tender chunks of tasty tongue. My wet burrito in green sauce was pretty much the size of a newborn baby." Tacos El Grullense C&D is now open at 60 31st Ave., so stop in to try it for yourself.